One of the largest problems Nintendo had with the Wii U was the difficulty developers had in porting their games to the console, which meant that the Japanese publisher was unable to take advantage of the thriving indie market. When Nintendo announced the switch early last year, they vowed that they were going to make the platform much easier to publish to for independent developers. This, along with its portable nature, makes the Nintendo Switch a perfect fit for 10tons 2012 IOS puzzler, Azkend 2: The World Beneath. Finnish developer 10tons has been a big name in both the mobile and PC gaming scene since the launch of their debut title, the twin stick shooter ‘Crimsonland’ in 2003. More recently though, they’ve begun porting many of their newer efforts to home consoles and their early support of the Switch has been prolific to say the least, with the release of a walloping 10 titles on the console since its March 2017 launch date. In Azkend 2, you play as a young woman passenger on a ship bound for New York. 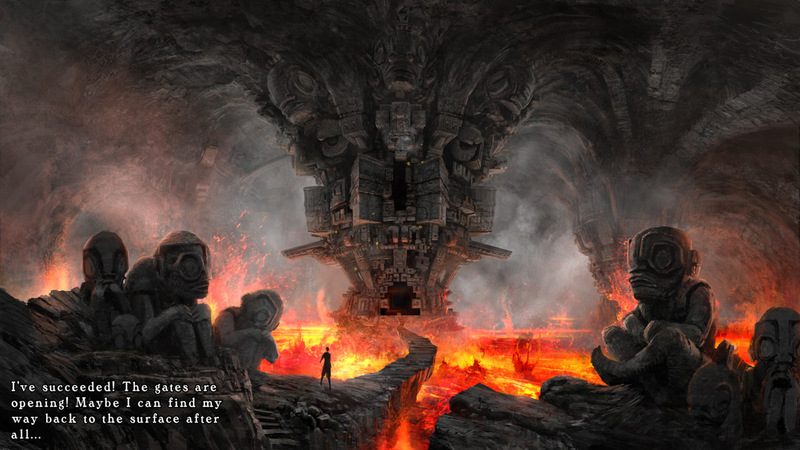 Not long after casting off it runs afoul of a terrible storm – a bad omen clearly, as the ship is subsequently swallowed by a gigantic maelstrom and mysteriously transported into part unknown. It’s here where our young heroine must, naturally, solve some tile matching puzzles in order work out the where’s, whys, what’s and who’s. As I’m sure you can imagine, the story isn’t really anything to get excited about. The fact that the title of the first chapter of the game is “Repairing the Binoculars” should set a precedent in anybodies mind that they’re not going to be getting Bioshock level narrative, however the story does a capable job at funneling the player from puzzle to puzzle. Story isn’t really what people are here for though, people are playing Azkend for the puzzles! 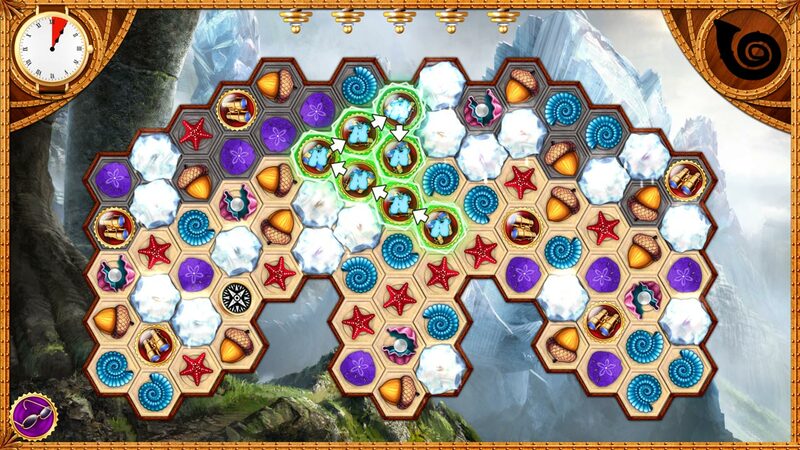 Match 3 games aren’t customarily known for their visuals, after all how pretty can you make the obliteration of a board full of icons look. The difference with Azkend 2 however is the absolutely beautiful hand-painted backgrounds on display during the story and hidden item sections of the game. It’s clear that a lot of care and attention has gone into creating these backgrounds and it’s a shame that you only get a good look at them during the needlessly frustrating hidden objects sections of the game. There’s not really much that can be said about the audio other than ‘it’s there’. Music is forgettable and doesn’t infringe on your ability to concentrate during the puzzles but the story scenes are voiced throughout by a woman whose droning tones seem to suggest that she doesn’t really seem all that interested in voice acting. The sound effects in the match 3 puzzles are your standard pips and pops that in all honesty started to grate after a while and really made me wish they would have gone with audio that was a little more subtle. 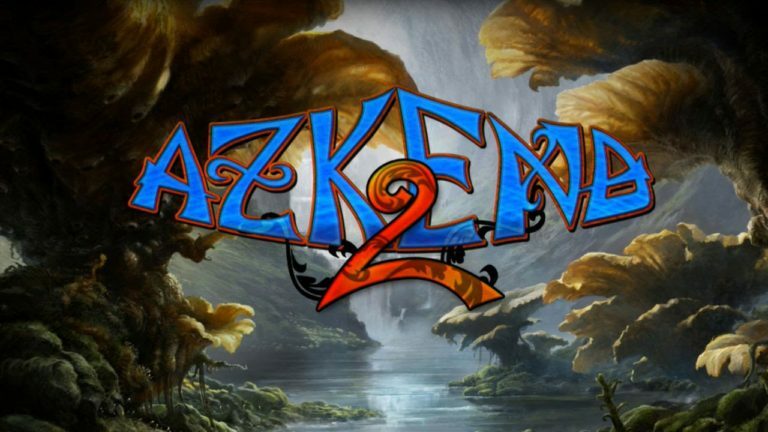 Azkend 2’s gameplay is a curious mix between a bog-standard match 3 puzzler and those ten-a-penny hidden object games that were popularized by the rise of casual gaming on the Ipad. Each chapter of the game consists of around 4 matching puzzle levels where you locate the components of an object required by the protagonist. These items are placed on the very top rung of the puzzle board and must be claimed by destroying the tiles underneath it to drop it to the bottom row of tiles. Once you’ve found all the components and created the item, you’re presented with an image of the area you’re in and are given multiple clue’s in the form of small inset pictures of the scenery on display which you must then find in the background image and tap. Whether you complete this section or not the game continues regardless, probably due to the difficulty of actually finding these images, many of which are rotated or otherwise obscured. Honestly, this leaves me wondering why they put these sections in the game at all as I didn’t enjoy a single one of them and often resorted to mindlessly tapping the screen to force the timer down so I could simply skip them. Interestingly, the game is able to deftly avoid the common “gameplay and story segregation” trope, in that each of the story related items the player locates by completing these chapters actually functions as an equip-able power up in the match 3 puzzle section of the game. These powers are nothing like the ‘I win’ buttons you get in Candy Crush and it’s free to play ilk, they have a more profound effect on the gameplay, adding new bonus-tile types or improving the chance of a special tile forming. Unlocking these helpful abilities will help you tackle the slowly rising level of difficulty. 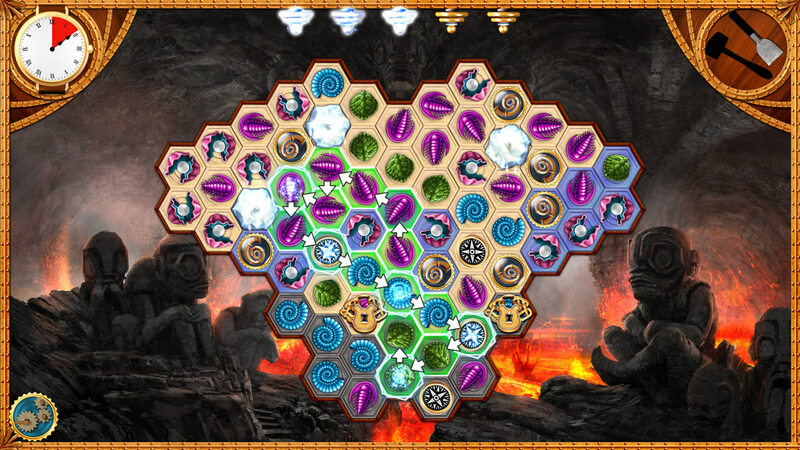 Each of the early levels introduces a new obstacle to overcome, ranging from staple match 3 objectives like turning the entire board one colour by destroying tiles on each segment, to more interesting innovations like bugs with visible HP counters that you must whittle down before they move to the top of the board and cause a game over. In later levels, these handicaps will come at you in groups of two or more, which will at least start to inject a bit of difficulty into what is at points a trivially easy game. Featured alongside the main story mode are a couple of challenge modes, namely ‘Timed’ mode where you have 2 minutes to score as many points as you can to place on a local leaderboard and ‘Medals’ which is a mode where you play through the main story levels once more with half the allotted time in order to earn – you guessed it – a medal. While medal mode doesn’t really add much other than a bit of extra difficulty, Timed mode is where I could see myself spending most of my time due to it’s classic match 3 scoring gameplay that can easily be played in short bursts. I enjoyed my short time with Azkend 2. As anybody who’s played Bejewled, Candy Crush or any of their myriad clones can attest to, there’s few things more satisfying than stringing together a huge run of tiles, setting off a chain of lightning bolts and watching the screen fill with fizzes and pops as tile after tile is obliterated from existence. Despite the fact that the story is clearly little more than a meandering framing for more puzzles, the core gameplay and amount of content on offer is more than enough to justify it’s £7.99 price tag. Far too easy up until the last couple of levels.